DEWSBURY RAMS have signed local duo James Delaney and Brad Delaney from amateur side Dewsbury Moor ARLFC. The Moor pair, who are cousins, have played all of their junior rugby league at Heckmondwike Road and will now link up with Glenn Morrison’s side on one-year deals. 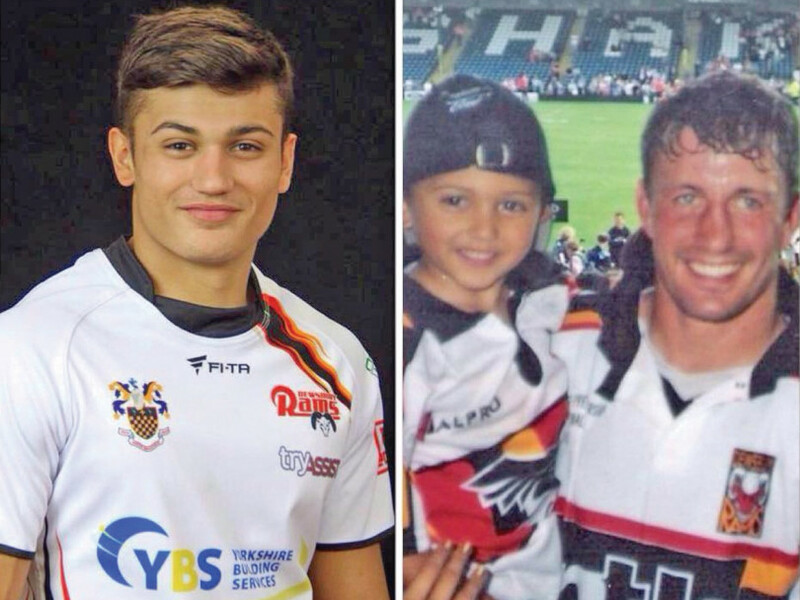 Brad – the son of former Leeds and Dewsbury Rams half-back Paul Delaney – is a scrum-half and has previously been on a scholarship deal at Huddersfield Giants. James, meanwhile, is a hard-working forward who has enjoyed representative honours having played for BARLA Great Britain. He has been a regular in Moor’s promotion-chasing Pennine League side, with his performances earning him a call-up to Danny Maun’s Heavy Woollen select squad who are due to take on Batley Bulldogs on Sunday January 25. Rams head coach Morrison said: “Since I have arrived at the club we’ve always tried to bring through local players. “We brought them both into the new second team and they have both really stood out in training and earned their contracts. “Brad is a very skillful kid, he is small but he has a good footy brain which is what you want from a half-back. “James is the total opposite, he is a big kid and is very strong. He is always in the gym and doing extras. He is very committed. “They will both get a chance to play in the first team when we take on Gateshead. Morrison highlighted Dewsbury Celtic star Jason Muranka as a key example. The versatile forward linked up with the Rams whilst still playing amateur rugby league in the National Conference League. Another local player in the Dewsbury ranks is Shaw Cross star Zach Johnson. “The local community has provided us with a number of players and there is clearly lots of talent in Dewsbury,” Morrison added. Meanwhile, the Australian chief has backed Aaron Brown to have a big impact in the new Championship season. The loose forward produced a man-of-the-match performance against Salford on his return from a long lay-off with injury. And Morrison says he could prove a key cog in the Dewsbury machine and could propel them to more success in the 2015 season. “Aaron Brown is a quality player who we missed last season and it was pleasing to see him put in a man-of-the-match display after nearly a year out.